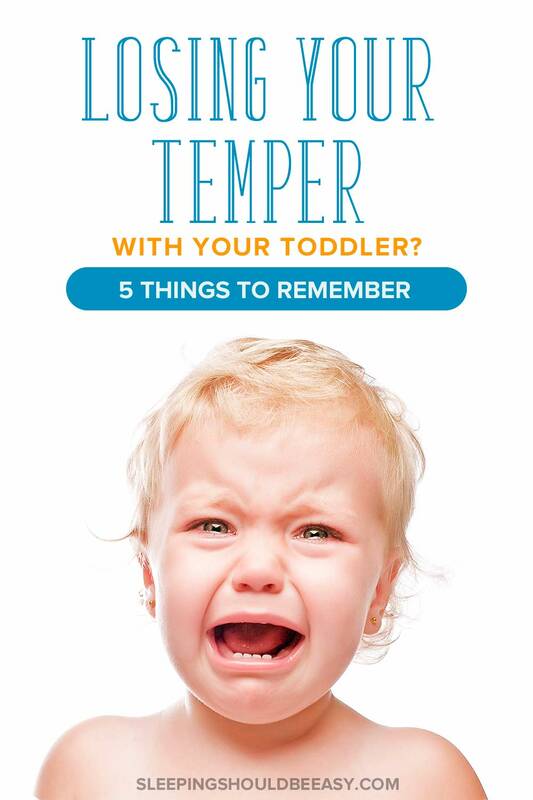 Tired of losing your temper with your toddler? From tantrums to bedtime battles, losing your patience is never easy. Discover 5 effective tips to help you calm down. It was starting to really tug at my last nerve. Normally, I can talk myself down or even ignore my kids when they throw a fit, but sometimes, I end up screaming right back at them. I lose my patience (not to mention my voice). The triggers are usually when they don’t listen, or when they overreact or make a big deal out of something that shouldn’t take so much energy. Other times I lose my temper easily when they’re yelling at the top of their lungs. Either way, it’s easy not to feel like yourself anymore. If this sounds familiar, you’re in good company. Parenting toddlers is a learning experience, such that even now, my temper still gets tested. Just when I think I’ve been calm for ages, I find myself getting upset and having my own mini meltdown. It’s bound to happen—no one is perfect, after all. We’re still learning, and our kids and families continue to go through changes that will test us. The most important thing is not to hide or feel ashamed. Remove the stigma or the pressure to always be perfect, and instead, learn from the moment. What happened that made you get angry? What can you do differently next time? Have you noticed that when you’re in a good mood, you’re more patient with your child? Well, the opposite can be said when we’re in a bad mood. Except sometimes we forget this simple concept. I might end my work day frustrated, then head straight to pick up the kids and wonder why every little thing they do seems to make me angry. A “bad day” doesn’t always have to be disastrous. Even little things like having a lot to juggle on your plate means your mind is elsewhere instead of on your toddler. The next time you’re having a bad day even before your toddler is in the picture, brace yourself. Remember that you’re vulnerable and prone to losing your temper, and that it’s not always her fault when she throws a fit. Spend 10-30 minutes “shutting down” before being with your toddler. If you’re at work, do something light before ending your day. If you’re at home, pick a light or relaxing task to transition you into being with her. Journal your thoughts. I like to spend a few minutes before picking up the kids to write down what I did for the day so it’s out of my mind. I’ll also write any frustrations or challenges so I can better let go. Take a deep breath and say a mantra. If the day is already going south, take a deep breath and remind yourself that you’re going through a rough time right now. This little reminder can be all you need to go easy on your toddler when she whines, that the real reason you’re upset is because the kitchen sink is clogged. Get more tips about how to get yourself out of a bad parenting day. Take a deep breath and remind yourself that you’re going through a rough time right now. No one likes to be questioned or defied. It feels like a personal attack when our directions, plans, or opinions are outright ignored or disobeyed. Except this is what toddlers do all the time. They might do the exact opposite of what you just said, or look at you as if they didn’t even hear you say anything. Other times they throw a fit over what should be—and always had been up to this point—an easy request. It’s enough to drive any parent nuts! The thing is, this is completely normal for toddlers to do, and even desired. Think about the opposite: would you really want a toddler who said yes to everything in her life? Who doesn’t question authority, or add her opinion? Someone who won’t stand up for what she believes is right, or doesn’t understand boundaries, whether hers or other people’s? Childhood is when kids practice these “skills” the most. It’s when they learn what is okay and what isn’t, and they also learn how to cope when these difficult emotions arise. When your toddler resists or defies you, take yourself out of the equation and see it as normal behavior. Don’t take it personally, and instead chalk it up to a fantastic opportunity for him to learn how to behave. Exhausted and feeling guilty from losing your temper with your child? Even if it seems like you’ve tried just about everything, you CAN stop losing your temper… if you start from the inside out and change from within. 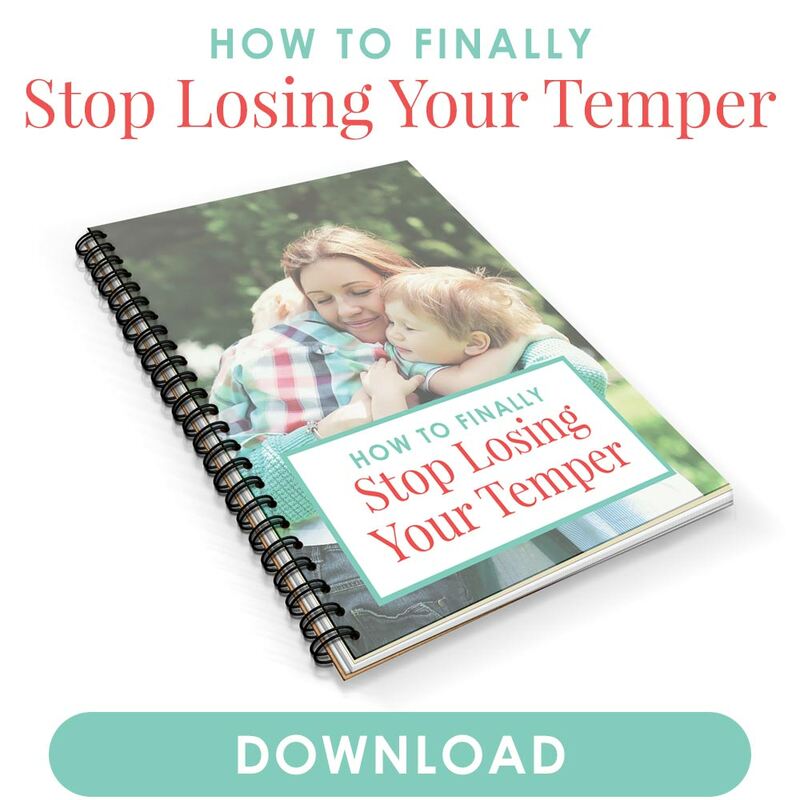 In my PDF, How to Finally Stop Losing Your Temper, I’ll show you how to reflect on who you’re being, your habits and triggers, and what you can do when you feel that rush of anger rising within you. Join my newsletter and download your PDF below—at no cost to you. In the moment, it may seem like kids just erupt out of nowhere. They might be perfectly fine, then suddenly hit their brother on the head. Or they’ve been in a good mood all day when all of a sudden they throw a fit about getting in the car seat. Now I’ve learned that there’s no such thing as “for no reason.” There’s always a reason—sometimes it just takes a little digging to discover what it is. It might be that your toddler had a rough day with other kids at preschool, something you wouldn’t know if he doesn’t say anything. He could be afraid of a television show he watched, his fears surfacing hours or even days later. And it could be as simple as not having his basic needs met. He might be hungry or sleepy, or he might need your attention. We all have bad days, and even we can’t always pinpoint the exact reason we feel down. The same is true for our kids. Disciplining in public is not my favorite thing. Whether in front of family or friends or even strangers, I never liked the idea that other people could witness my kids throwing a fit… and watch to see how I’ll respond. Except here’s what I learned. First, no one really cares what you’re doing. It might seem like everyone’s watching your every move, but more likely, they don’t even notice. Second, it doesn’t matter what they think. Take strangers, for instance. There’s no way they can judge one incident—whether positive or negative—andcon decide what type of parent you are. Let me give you an example of when I let other people dictate my actions. I was picking up the kids from school when one of them complained about something. Normally, I would’ve let it go, especially since I’ve seen how effective that can be given those circumstances. But with other parents and teachers around, I felt compelled to put on my “discipline hat” and started talking down to my child. Deep down, I wanted them to think that I had this under control, that I knew what I was doing. Well, turns out that my first intuition was right. Disciplining him, especially in front of others, only set him off further. Had I let it go like I wanted to, we could’ve headed to the van with only mild complaints instead of a full-on fit. 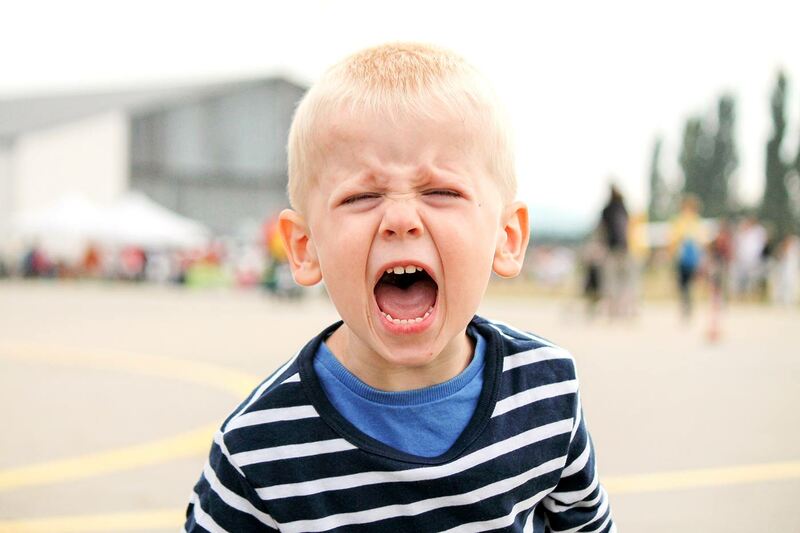 Get more tips on handling public tantrums. One of my biggest temper triggers is, surprisingly, after my kids have been behaving so well. You see, when kids have been doing what they’re supposed to do, especially after a long stretch of time, it’s easy to erupt when they regress or make mistakes. Except, you guessed it… it’s normal to regress and make mistakes. You and I do, all the time. It’s unfair to get mad at your toddler for the one time she spilled her plate of food on the way to the dining table when she’s been doing so well up to that point. Do you give her grief for throwing a tantrum, forgetting that she hasn’t thrown a fit in months? Do you lose your patience when she has a potty accident, never mind that she’s been using the potty so well all this time? You can see where I’m going here. Your toddler is bound to behave in ways you’d rather she not—even when she’s been behaving so well. In fact, harping on that one misstep can send negative messages about how to respond to mistakes. Instead, correct the behavior and move on. She should see mistakes as learning opportunities instead of feeling penalized for the one time she didn’t put her toys back in the toy box. It’s never easy staying calm when you’re already exhausted, juggling everything else and dealing with a toddler. Especially when she whines and cries over not getting what she wants, or seems to throw a fit out of nowhere. If you feel yourself short-tempered over your toddler, take these lessons to heart so you can better calm yourself down. Brace yourself when you’re already having a bad day, finding ways not to let it affect the way you spend time with your family. Don’t let her resistance trigger you into losing your temper. Instead, remember that her behavior is normal and even desired in the bigger picture. Remind yourself that your toddler’s behavior is never “for no reason,” and don’t allow other people’s opinions to sway the way you discipline. Finally, go easy on her few mishaps, the kind that are bound to happen, even when all this time she’s had such a great track record. After all, we’re all human and bound to make mistakes, including losing our tempers. The most important thing is to learn from them and try different things. This way, when your toddler tugs—or more like yanks—that last nerve, you’ll feel better equipped to handle it. Tell me in the comments: Have you been losing temper with toddler these days? What are your best ways to cope? Exhausted and feeling guilty from constantly losing your temper with your child? In this PDF, you'll learn how to reflect on who you're being, your habits and triggers, and what you can do when you feel that rush of anger rising within you. Thank you for the tips! I am just finishing up first trimester with baby #2 and my emotions ran deep with our now 13-month old. It doesn’t happen often that I yell but when I do it sticks with both of us for a while. I think knowing what’s actually triggering you (Clogged sinks! Unfinished house projects!) and educating yourself on why toddlers act the way they do is very helpful. Onwards and upwards! Exactly, Alex! Being pregnant can definitely push your limits. I remember being pretty patient with my eldest, but once that third trimester hit when I was pregnant with his twin brothers, my patience went out the door. Definitely knowing your triggers and remembering that this is normal behavior for toddlers has for sure helped! Thank you. Your website is a great help to me and lifted my spirits! It has a lot of relevant advice! Same her!!! Exact same events in my day. This has really been a huge help and relief to me. It’s nice to know I’m not alone. There are so many mom pages and google searches on what to do when your toddler misbehaves or acts in a way you wished they wouldn’t and it was a huge realization that this is their normal and I should not take it personally. Admittedly I am sad to say I did. 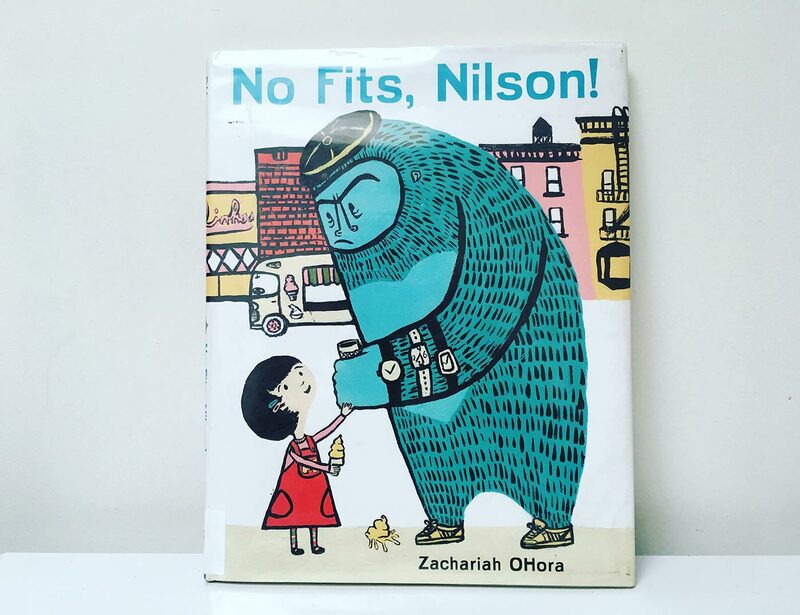 And this article along with two other books I purchased have made a world of a difference in how I am reacting to my daughter’s actions. Thank you so much. I’m so glad to hear that, Kristin! Yes, there can definitely be too much information, but not many to help you see parenting in a new light. That’s why here on this blog and the resources I offer, my focus has always been to start from the inside out, and change from within starting with us, so that it trickles down to their behavior. So happy to hear the difference it can make with you and your daughter!